In the Western world, when we hear the word “shaman,” most of us tend to conjure up an image of a masked and costumed indigenous tribal person, dancing around a fire in the dark, involved in some sort of mysterious ritual, accompanied by singing and drum beats. But inside that cultural shell of mask, costume and ritual, there is a woman or a man with a set of very real skills. The shaman is the master of the trance experience. All true shamans are able to achieve expanded states of awareness in which they can direct the focus of their consciousness away from our everyday physical reality and into the inner worlds of the dreamtime while very much awake. The first thing they discover is that these inner worlds are inhabited, for there they encounter spirits–the spirits of nature, the spirits of the elementals, the spirits of the ancestors, and the higher, compassionate transpersonal forces, many of whom serve humanity as spirit helpers and guardians, teachers and guides. It is this extraordinary visionary ability that sets shamans apart from all other religious practitioners. And it is through their relationship with these archetypal beings that shamans are able to do various things, initially on behalf of themselves and then increasingly on behalf of others. What sorts of things? At the top of the list is probably ’empowerment.’ Working with the assistance of their helping spirits, shamans are able to restore power to persons who have lost theirs or who have been diminished by their life experiences. Shamanic practitioners are able to access information from ‘the other side’ through divination; some are skilled at guiding the souls of the deceased to where they are supposed to go in the afterlife, an ability known as psychopomp work; and many shamans are master healers at the physical, mental-emotional, and spiritual levels of our being. And… in their role as master healers in the imaginal realms, many shamanic practitioners are accomplished at restoring the fabric of a client’s soul, a transpersonal healing modality known as soul retrieval. Sanctified by their initiatory experiences and furnished with their spirit guardians, the shaman alone among human beings is able to consciously travel into the spiritual worlds as cosmic explorers. Now here’s something interesting: Because of my work as an anthropologist and because of my books about my own experiences on the shaman’s path, I have been brought into close connection with increasing numbers of modern spiritual seekers at conferences and workshops over the past 28 years, and I have watched, riveted, as non-tribal Westerners successfully achieve shamanic states of trance, and often on the very first attempt. This evidence has led me (and others) to suspect that there is a biological-energetic “program” on our DNA, on our genetic “hard drive” so to speak, and it has been my personal experience that when this program is “double-clicked” with the right “mouse,” higher functions coded into the personal mind-body matrix may be awakened. In response, our conscious awareness may expand dramatically, allowing us to have that direct, transpersonal connection with the sacred realms that defines the shaman. The inner fieldwork of the eastern mystics suggests that this program is associated with the ductless glands, the brain, and the heart, organs that, in turn, are in relationship with those dense concentrations of energy known as chakras located in the core of our personal etheric matrix. When these physical and energetic mission control centers are activated, the relationship between them can dramatically affect the body and the brain, which may undergo striking changes in response. Now… in talking about the shaman’s path, it is known that the traditional people in indigenous societies have developed families of techniques for altering consciousness in specific ways. These constitute a form of technology-the technology of transcendence. Indigenous people know everything there is to know about their surrounding environments in great detail, and if there are psychotropic plants growing nearby, the ritual use of hallucinogens derived from these “plant teachers” is sometimes utilized for the purpose of expanding awareness and accessing the sacred realms of things hidden. The same held true for the mystery schools in the ancient world, and the growing literature on hallucinogens reveals striking cross-cultural similarities in the reported effects of these natural substances on human consciousness. These include the capacity to channel the energy of the universe, to discover the most profound secrets of Nature, and to acquire wisdom that may be used for magical, medical, and religious purposes. But equally powerful and far more widespread are the psychological and physiological methods developed by the shamans of the traditional peoples for altering consciousness and re-patterning it in specific ways–techniques such as fasting and sleep deprivation, physical exhaustion and hyperventilation, or the experiencing of temperature extremes during rituals of purification such as the sweat lodge. It is also generally known that the intensely physical stimulus of monotonous drumming and rattling, combined with culturally-meaningful ritual and ceremony, prayer and chant, singing and dancing, can be equally as effective in the shifting of consciousness into visionary modes of perception. Not surprisingly, the use of drums and rattles by shamanic practitioners around the world is almost universal, and this is the method that my wife Jill and I use in our Visionseeker training workshops. Until relatively recently, most Westerners have tended to regard the whole issue of altered state experiences as mysterious, paranormal, or even pathological, and so some of us, in ignorance, still respond to the idea of expanded awareness and connection with helping spirits with fear and rejection. By contrast, in a traditional indigenous society, each child grows up in relationship with elder ceremonial leaders and shamans who are able to access expanded states of consciousness intentionally for the benefit of themselves, for others, and even for the entire community. The traditionals know that virtually everyone can learn how to access sacred states of consciousness to some extent. They also know that some of us are real naturals at it. 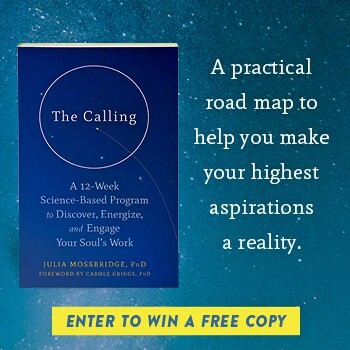 This led me, a professional anthropologist and visionary, into the work that I am doing now-helping others find those inner connections that may utterly transform them, their lives, and their work in the world. Today, the shaman’s path can be partially understood in scientific terms. It is known, for example, that the nature of the visionary experience can be determined, to some extent, by our focused intentionality, by our belief systems, and by the setting in which we find ourselves. These may serve as “patterning forces” that can shape the visionary experience once the initial state of consciousness has been destabilized by the drum, the rattle–or the hallucinogen, if one was used. Based on 28 years of apprenticeship in this tradition and 17 years of teaching shamanic training workshops to Western people, I have learned that the ability to achieve the shamanic state of consciousness is a learned skill that improves with practice-one that can give the seeker access many varieties of experience, including connection with the spirit world if that is their intention. The traditional people would agree with this statement because they know a great secret: Any human activity or endeavor can be enormously enhanced through utilizing and eventually mastering this sacred technology. They also know that all of us, Westerners and indigenous peoples alike, are descended from tribal ancestors if we go back far enough… and they all had great shamans. This fact reveals that the shaman’s path is part of the cultural heritage of all people, everywhere, although it was largely lost in the West due to the ruthless suppression by our organized, state-level religions in the Middle Ages. Interestingly, shamanism is not a religion, nor does it conflict with any religious tradition. It’s a method. And when this method is practiced with humility, reverence and self-discipline, the shaman’s path can become a way of life. We then know with certainty that no holy words or books, no secret ceremonies or rituals, no spiritual leaders or gurus or faiths can do this for us. Once the higher evolutionary functions are triggered within us, some mysterious predetermined schedule is set into motion, activating a program that cannot be given to us by any outside agency.